In dedication to my great-great-great aunt Ellen Melville ( 13 May 1882 – 27 July 1946) . 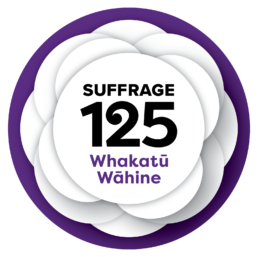 The first woman in New Zealand to be elected to a municipal authority (1913 – 1946). Miss Ellen Melville is elected to the Auckland City Council. Our heroine stares fiercely into the face of ignorance and resistance. She is ready to move mountains. Miss Lauren Parker speaks at the regional debating competition. I stare fiercely into the face of a good argument. I begin, and no one interrupts me. because she stood and spoke. because she stood and believed. I can be who I want. So long as I work and fight as hard as she did. New Zealand’s women stand together in a field of white camellias. Now we can see the sunshine, but we still have some growing to do.